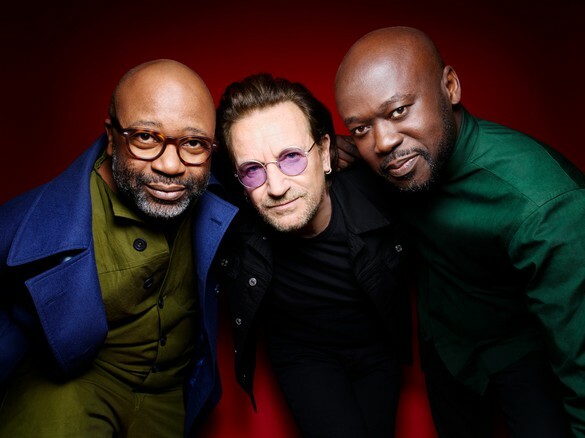 Theaster Gates and Sir David Adjaye join Bono to spearhead (RED)’s third auction of contemporary art and design, raising funds for the global fight against AIDS. As Gagosian prepares the preview exhibition, opening on December 1, Gillian Pistell looks at the event’s history and the urgency of this vital cause. Gillian Pistell joined Gagosian in May 2017 as a researcher and writer. She received her doctorate in art history from the Graduate Center, CUNY, in February 2019. Prior to Gagosian, she worked as a research assistant in the Modern and Contemporary Art Department at the Metropolitan Museum of Art, New York, and has contributed to several scholarly publications, including Pen to Paper: Artists’ Handwritten Letters from the Smithsonian’s Archives of American Art. We have a very binary choice here: we can end AIDS by 2030 or we can blow it. When Bono and Damien approached me about the first auction in 2008, there wasn’t a doubt in my mind; we had to use the Gagosian platform to help. (RED) has been instrumental in the pursuit of eradicating AIDS, and it has been an honor to be a part of this effort. I am excited to host the preview exhibition again this year in Miami. In 2006 Bono and activist Bobby Shriver founded (RED) as a division of the international advocacy organization (ONE), which works to end extreme poverty, particularly in Africa. While (ONE) addresses disease within its wide range of issues, (RED) focuses specifically on fighting HIV/AIDS, one of the most destructive pandemics in history that, despite the development of life-saving medication, still claims lives today. 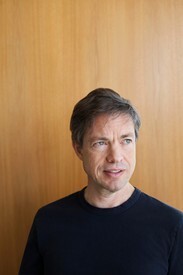 To date, (RED) has generated more than $500 million to support Global Fund grants that have provided nearly 110 million people with prevention treatment, counseling, HIV testing, and care services—an astronomical sum achieved largely by engaging many of the world’s most iconic brands to develop and sell (RED) products, from Product (RED) iPhones to Quip Product (RED) toothbrushes, coupling the purchase of a beautifully designed object with the action of providing humanitarian aid. These companies contribute a portion of their profits to (RED), which directs 100 percent of funds raised to its initiatives. The money raised is a lifeline, literally, for so many people. Continuing its strategy of mobilizing the private sector for the public good, (RED) has also marshaled the considerable financial power of the art market in its fight against AIDS. 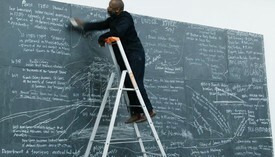 On December 5, the organization will hold its third auction of contemporary art and design at the Art Basel art fair in Miami Beach, with the help of some of the world’s leading names in the field: Gagosian will host the preview exhibition, Sotheby’s will present the auction, and artist Theaster Gates and architect Sir David Adjaye have co-curated the selection of works donated by major artists. The two previous iterations of the (RED) auction—in 2008 and 2013—have set the bar high for art world charity efforts. The inaugural auction was organized by Bono and guest curator Damien Hirst, a longtime friend of the musician and a dedicated AIDS activist. Hirst rallied his artist friends and colleagues to give to the cause, and more than sixty of them donated a total of eighty-two works; Hirst himself gave six paintings and a sculpture. In 2013 Bono asked design superstars Marc Newson and Jony Ive to co-curate a selection of exceptional objects. They assembled forty-three pieces, many of which were customized or made specifically for the auction, including two items fashioned by Newson and Ive: a Leica digital rangefinder camera and a precision-machined aluminum desk, both of which were created in unique editions for the event. This year’s preview will open in Gagosian’s viewing room at Miami’s iconic Moore Building on December 1—World AIDS Day, an annual event established in 1988 for people worldwide to come together in the fight against HIV, support those infected, and remember those who have died from the virus. The curators have selected works centered on the themes of red and light. Speaking about this year’s theme, Bono has said, “The spaces that Theaster and Sir David build convey a sense of awe, of illumination. Which is the sensibility they’ll bring to (RED)’s auction when they shine their light on the AIDS crisis—which is at risk of slipping back into the shadows.” The cause has personal significance for both curators. Adjaye was born in Tanzania to Ghananian parents, spent his early childhood in Africa, and today has an office in Accra; as such, he grew up amid the crisis, and the fight against it remains of great importance to him. Mr. Gates founded and leads the Rebuild Foundation in Chicago. Part of the funds raised by this year’s auction will go to that organization to provide health education to youth, thereby expanding the auction’s reach. 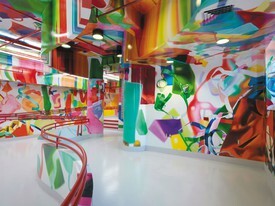 Gagosian selected the Moore Building for its four floors of arcaded spaces, topped by a central atrium. It is a fitting venue for the collection of thirty-two red, light-filled, and light-inspired works assembled by Adjaye and Gates. 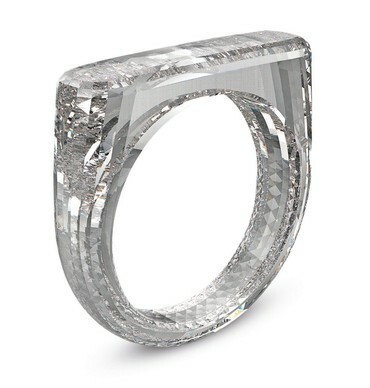 Highlights include a ring created by Ive and Newson, made of a diamond grown from a carbon seed. 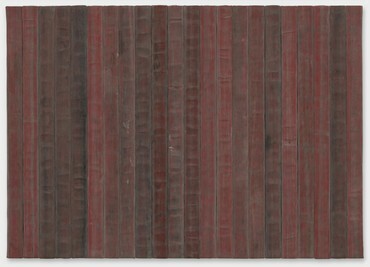 Sean Scully has given a stunning geometric painting in shades of red. Jennifer Guidi has made a signature textural composition in a bright burst of red. 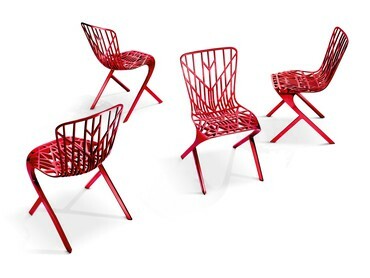 Also among the spectacular design objects are a table designed by Zaha Hadid, manufactured in red exclusively for the auction, and unique versions of Adjaye’s own designs, specifically a red model of his Corona table and Skeleton chairs. “Art intimates and needs reaction, Art needs to be the transformative presence, a quality it shares with grace, which itself is on the lookout for the lost,” Bono wrote in 2008. 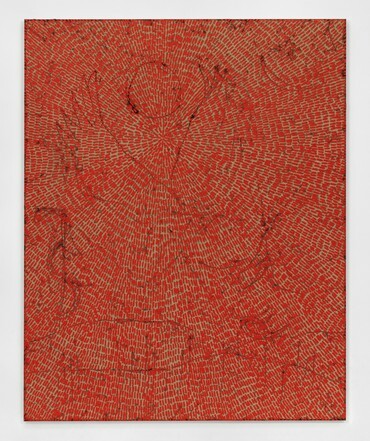 With the support of Gagosian, Sotheby’s, this year’s co-curators, and the artists who generously donated their work—as well as all those who take part in the third (RED) auction on December 5—the event is set to be another resounding success, raising much-needed funds to benefit the fight against AIDS. The investor and philanthropist discusses the future of the Berggruen Institute with Derek Blasberg.